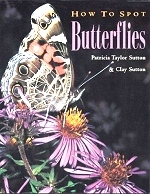 Patricia Taylor Sutton, program director and naturalist at Cape May Point State Park (New Jersey), teams with her husband, Clay Sutton, to write an engaging book on butterfly watching and gardening. Attractive photos by the duo illustrate many butterfly species and habitats; resource information follows. 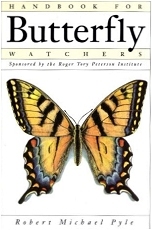 Sutton acknowledges her debt to butterfly expert Robert Michael Pyle, including a quote from his book, Handbook for Butterfly Watchers . Indeed, the subject matter is remarkably similar. So why own both books? The most obvious difference is the Suttons' color photography (Pyle's book has black-and-white drawings). How to Spot Butterflies reflects the past few years' explosion in butterfly-watching, made popular by the North American Butterfly Association, with its binoculars-only philosophy. For example, there is a section on tours and group etiquette. I have spent hours watching butterflies with Pyle, and I sense that I'd love to spend some time at Cape May with Sutton, too. And that's why I treasure both books--the authors' personalities and knowledge complement each other. This review is graciously provided by Claire Hagan Dole. Additional books you might like on butterfly gardening!